If you’ve been looking for a long range cordless phone that will work with your IP-based PBX, look no further than the EnGenius DuraFon SIP system. EnGenius is one of the most trusted names in the North American long range cordless phone market. Their DuraFon multi-line long range cordless phone system has been satisfying customers for years. 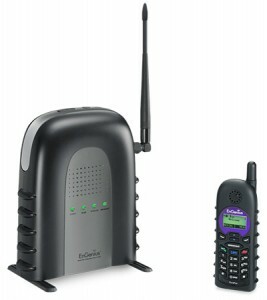 Now, you can add the DuraFon-SIP long range cordless phone to your existing IP-PBX system. It’s a pretty cool system, supporting up to four concurrent conversations (either 4 SIP calls or 3 SIP calls + 1 PSTN) and a range of up to 12 floors in-building coverage, up to 250,000 sq. ft. in warehouse settings or up to 3000 sq. acres in open range settings. The DuraFon-SIP system supports up to 10 long range cordless handsets, each of which feature 2-Way Intercom and Broadcast features. More than one DuraFon-SIP base station can be added to your IP-PBX, but there are some limitations on phone conversations between handsets registered to different base stations. Most notably, the 2-Way Intercom and Push-to-Talk features won’t work, but you can still make handset to handset calls by using PBX extension-to-extension calls. If you have questions about the DuraFon-SIP, check out our extensive DuraFon-SIP FAQ section or call one of our sales reps at 1-855-929-9199 and they’ll be happy to find the answers to your questions. This entry was posted in business phone system, business phones, business telephones, cordless phone, EnGenius, ip phones, ip telephones, long range, long range wireless phones, multi-line, sip phone, sip phones, Uncategorized, wireless, wireless phone system, wireless telephone and tagged cordless phone, durafon, durafon-sip, engenius, long range cordless phone on December 21, 2015 by jjackson. 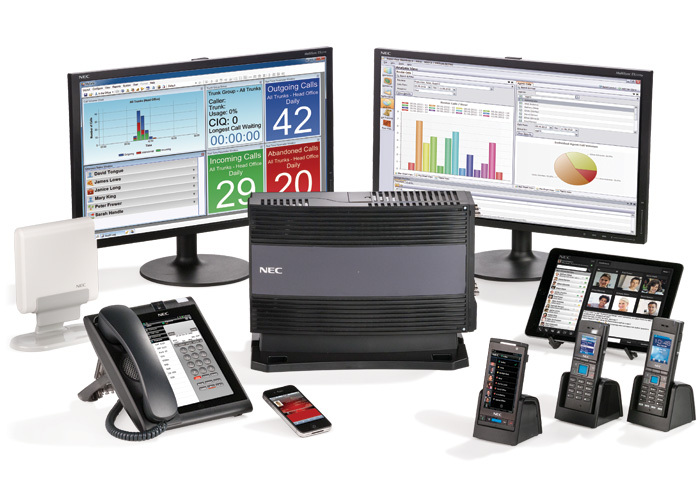 NEC recently added the smaller 9.5″ SV9100 phone system chassis, matching it’s predecessor, the 9.5″ SV8100 cabinet for small business customers. Telephone Magic Inc. has been installing these smaller chassis SV9100 systems for a few months now and the verdict is in… WE LOVE IT! The 9.5″ chassis offers small businesses a cost-effective way to get the high end features of the award winning NEC SV9100 platform. While the SV9100 is based on the solid foundation of the SV8100 platform, it has a much more powerful processor. It does away with the need for the PZ-VM21 Voice Mail card holder and the PZ-ME50-US Expanded Memory card, The InMail voice mail packake is now stored on a micro SD card which clicks right into a slot on the main control card (GCD-CP10). Like the SV8100, this system is hybrid in nature. It handles both digital and IP phones, has the capability to network between sites and add SIP trunks as bandwidth grows and QoS become more stable. 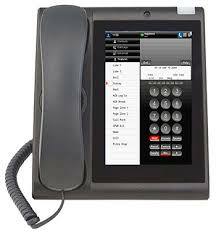 The UT880 combines the ease of a touchscreen tablet and a familiar telephone keypad! 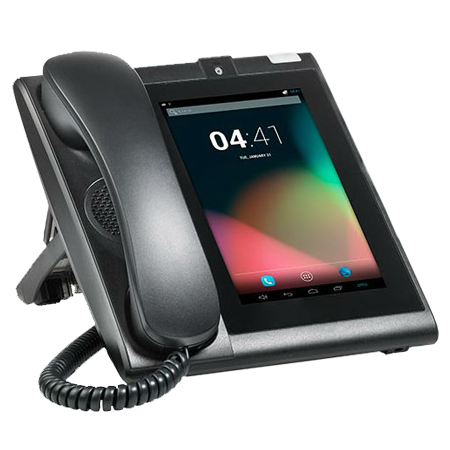 Customers are RAVING about the new UT880 Tablet Phone which combines the look and feel of a tablet with a standard telephone handset interface. This phone terminal combines touchscreen capabilities with a familiar phone keypad and video options – it is simply breathtaking! NEC’s UT880 Universal Client is a multiline telephone application that emulates an NEC 32-line DESI-less telephone, comes standard in the SV9100’s user licensing packages. The interface of the UT880 Universal Client is designed to improve the overall user experience, while remaining intuitive—with no extensive training needed. You can see at-a-glance if you have new voice or instant message notifications, missed calls, meetings and new emails plus it provides access to all of the standard system features. The UT880 and NEC’s SV9100 create a powerful combination of innovation and user features! Additionally, the UT880 enables access to the UC Suite Client – corporate directory, presence, instant messaging, unified messaging and call control – right on your desktop phone. When NEC first release the SV9100 they created the UNIVERGE SV9100S and SV9100E Communications Servers. While they are both robust, feature-rich, Unified Communications enabled systems that are ideal for small and medium-sized businesses, the added introduction of the 9.5″ chassis offers the smallest of business clients to take advantage of the powerful SV9100 platform. Each server is designed to help solve today’s communications challenges and is built with your migration path in mind, so you can scale your communications as your business grows. Because it is so future friendly and upgraded by frequent software improvements, NEC’s SV9100 is likely the LAST communication system your business will ever purchase! The SV9100 also comes with a simplified user-licensing structure, which allows you to only pay for what your business needs, as you need it. Gone are the days of paying for 40 voice mail boxes when all you needed was six! Gone are the days of having to buy voice mail ports to be able to handle more calls. This system is provisioned for sixteen ports that will handle as many or as few calls as necessary. The SV9100 also easily integrates with your existing NEC technology. In short, we are VERY impressed with the SV9100 communication system, and our initial experience with it tells us you will never regret a move to this platform. It is built on a solid foundation and will grow in just about any way you wish as your business changes and expands. This entry was posted in business phone system, business telephone system, business telephones, IP phone, ip phone system, ip phone system; sip telephones, ip phones, ip telephones, NEC, NEC digital phones, NEC IP phones, networking, phones, sip, SV9100 and tagged 9.5" chassis, nec, phone system, sv9100, ut880, UT880 phone on August 8, 2015 by jjackson. Telecom News from NEC ~ The SV9100 is Here! They’re here! NEC has announced the release of their new line of PBX systems, including the SV9100, which was designed as an upgrade path for the current SV8100 phone platform. The SV9100 supports up to 1,360 ports but a scaled down version supprts up to 48 ports for small businesses. 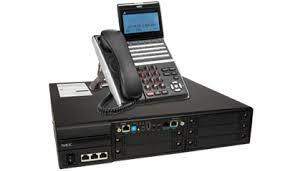 The SV9000 phone systems also have two new phone series. The new IP telephones are the DT800 series, replacing the DT700 sets, while the look-alike digital models are now called DT400 sets, replacing the DT300 phone series. The IP models now boast Gigabit models that sell for little more than 10/100 models, a big change from the Gigabit adapters NEC formerly required. Also, the digital models will sell at the same price points as the 10/100 IP models, and both product lines include 12, 24, and 32-button models with a choice of black and white or color displays. 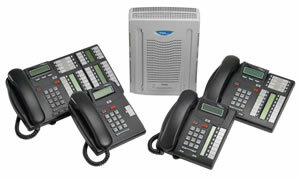 The new NEC DT400 digital phones and DT800 IP telephone sets make the SV9100 even more powerful! Also announced was the touch-screen Android-based UT880. This is a video-capable desk set (the tablet component is not removable) whose screen presents a typical DT-Series interface. One interesting feature, addressing the concern that hackers could potentially take control of the camera, is a manual switch that buries the camera’s lens behind a physical shroud when not in use. 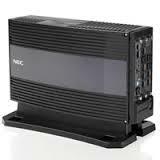 The new NEC UT880 is an awesome communication tool for the busy executive! NEC plans to open its own app store for the UT880, which will offer enterprise-oriented vetted apps to protect against malware, which seem like a prudent idea. Partnering with a mainline Android supplier like Samsung may have been a wise choice, as Samsung is years ahead of all of the UC suppliers when it comes to delivering what enterprises need in mobile devices. Unfortunately, Apple’s tightly controlled developer environment leaves Android as the only available platform for mobile O/S-based desk sets. To address the malware threat, Samsung has come up with its own enhanced security mechanisms with its KNOX offering. Samsung will also be offering its own enterprise app store. I’d prefer to be tied into that Samsung ecosystem, rather than trying to crack the Android nut on my own. NEC has also developed the DT770G iPad cradle with talk of potentially significant enhancements. 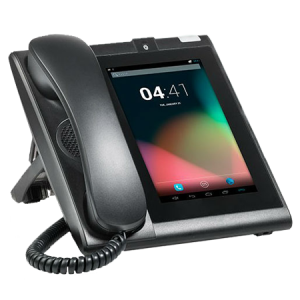 The DT770G includes an app that emulates a PBX station, and the cradle connects the iPad via Bluetooth and provides a handset and speakerphone. The DT770G operates over the customer’s in-house Wi-Fi network. That means that the Wi-Fi infrastructure will need to be voice-capable, but as the device is stationary, at least it will not face the problems we have seen with access point-to-access point handoffs. As the docks use the iPad’s Wi-Fi interface, they operate on 2×2 802.11n radio interface. NEC was talking about an enhancement that would allow the iPad to operate over an Ethernet connection when docked, and over Wi-Fi when mobile, but no date for this feature has been announced. NEC also has a range of DECT-based wireless devices, including a communication badge, that would be capable of dialing a single pre-programmed number with the push of a button. They have also created a prototype of an Android-based smartphone-like device that would support voice over DECT and data over Wi-Fi. NEC has demonstrated its’ WFAZ wireless adapter. The WFAZ can attach to any of NEC’s IP desk sets and allows it to operate over a Wi-Fi network. This could be a handy way to install stations in areas where it is difficult or expensive to install cable drops, assuming there is adequate Wi-Fi coverage. A PC can be connected to the data port on the IP desk set, allowing for voice and data support over the Wi-Fi connection. NEC’s dealers like Telephone Magic Inc. love all the new developments from our primary phone system supplier. Business has been strong and we are very enthusiastic about all of the new developements in the product pipeline. 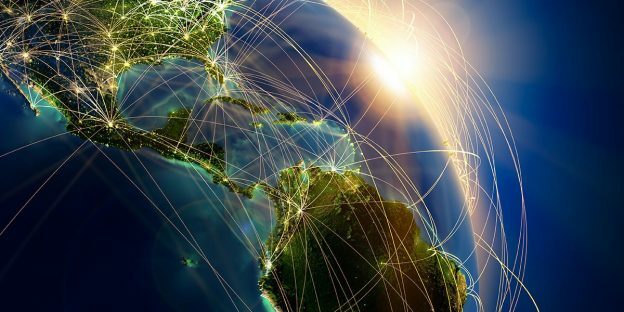 However, mobility continues to confound the UC market, so it may be some time before we see tangible benefits and significant revenues coming out of the mobile side of UC. This entry was posted in business telephone system, business telephones, digital phones, ip phone system, ip phones, ip telephones, ip-pbx, NEC, NEC digital phones, NEC IP phones, PBX, SV9100 and tagged business, business phone system, dt400, dt800, ip phones, nec, nec news, nec sv9100, office, phone system, sv9100, telecom update, ut880 on September 12, 2014 by jjackson. We have all heard of computer virus’s that take over unsuspecting victims PC’s and start overwhelming websites as part of a massive campaign utilizing thousands of these virus driven “drone” or “bot” systems. These “attacks” are hard to combat and have done their fair share of damage on the Internet. A lesser known but very similar type of attack occurs with great regularity with business phone systems that has become known as a “Denial of Service Attack”. These attacks involve either automated or actual callers overwhelming an organization’s ability to take inbound calls, often resulting in legitimate calls not being able to reach a caller in a timely manner when they need assistance, service, or, in extreme cases, report a real emergency. A couple of days ago, at approximately 5:25 pm, the Tuscaloosa Police Department was the target of a Telephone Denial of Service Attack. The perpetrators (Foreign Hackers) of the attack launched numerous phone calls against the police department’s phone systems, tying up the system. Again in this case the objective of the attacks was to prevent the agency from receiving legitimate calls and disrupt public safety operations. Attacks of this nature are ongoing throughout the US and Canada, with over 200 cases documented to this point. Some people muse this may be yet another way for terrorists to attack the United States, potentially weakening businesses or, more importantly, emergency response teams. The Tuscaloosa Police Department has had to take further steps to protect its’ phone systems. Blocked phone numbers and international numbers trying to call the administrative lines at the police department are being screened in the short term and likely will not go through as a precaution from further attacks. The police department confirms these precautionary changes will not affect the 911 emergency lines. You might think twice though about calling any of their administrative lines from a blocked number. In the event of an emergency the department asks that callers always dial 911. TPD is currently working with Federal Agencies on the incident. Interestingly, another business in the same Tuscaloosa area experienced a similar incident Friday morning. The complainant stated they received over 180 calls before they took the phone of the hook because it was disrupting the business. The caller, who had a foreign accent, stated they were trying to collect money that an employee owned them. Law enforcement agencies agree that Telephone Denial of Service Attacks are no laughing matter and should be reported immediately when they occur. This entry was posted in business phone system, business phones, business telephone system, business telephones, denial of service attack, telephone attacks and tagged denial of service attack on August 16, 2014 by jjackson. At Telephone Magic, we sell business phones at wholesale prices. We are currently in our 25th year in business and we love what we do – it’s exciting, always changing, we get to work with cutting edge phone system technology from worldwide leaders such as Avaya, NEC, Cisco, and Nortel. The new world of Internet marketing does not just require additions, changes, and updates of HTML code and pages for our websites though. Now as much time is being spent updating the many and varied sources of Social Media Marketing. Like other savvy and successful online companies, Telephone Magic is on Facebook, Twitter, LinkedIn, Google+, Pinterest, and – oh yes – we also Blog! Don’t get me wrong, it’s actually quite a bit of fun reaching out and touching the people who utilize our business telephone products every day in their day to day life. We appreciate our clients and we strive to give them the best personalized service in the industry. We feel, more than others, we create long-lasting relationships with our customers and they tend to come back time and time again due to the personalized rapport we forge with them. On the other hand, Social Media is, in itself, a full time job, equal to, and in many cases, much more work than our websites they drive. I am certain many of you, as small, medium, and even large businesses, struggle to find the time in the day to juggle all of their social media sites, trying to be as responsive as possible while also trying to get their regular work done in a timely fashion. I have talked to many business owners/managers/CEO’s that wonder how anyone is supposed to do all that social media demands without employing the full time efforts of a dedicated person. No doubt, it is tough. On one hand you don’t want to drop the ball, fail to make regular posts, and not get back to potential customers when they come knocking at your various social media outlets. On the other you have to deal with real world financial constraints driven by the economy which prevent you from carving out yet another salary from a potentially diminishing pie. On top of this, your products are almost always evolving and new information is coming out regularly and needs to be updated on your actual website. Now let us try to keep up with as much of that work as possible to ensure the site you wish to promote with all your social media venues is not itself becoming stale and outdated, causing it to fall in the rankings of our friends at Google, and other search engines. The Social Media challenge is certainly a real one and we all have to either deal with it in the best way we can with the limited time we have or, God forbid, simply ignore it and the world around us that has embraced and promoted it. Right, that is not an option. Time to get back to our Facebook page! This entry was posted in Avaya, Avaya BCM, bcm50, business phone system, business telephones, cisco, cisco 7940G, ip phones, NEC, Nortel, Nortel BCM on May 7, 2013 by jjackson.